Tighter lending restrictions combined with increased supply have seen property prices in Australia’s capital cities drop in September. 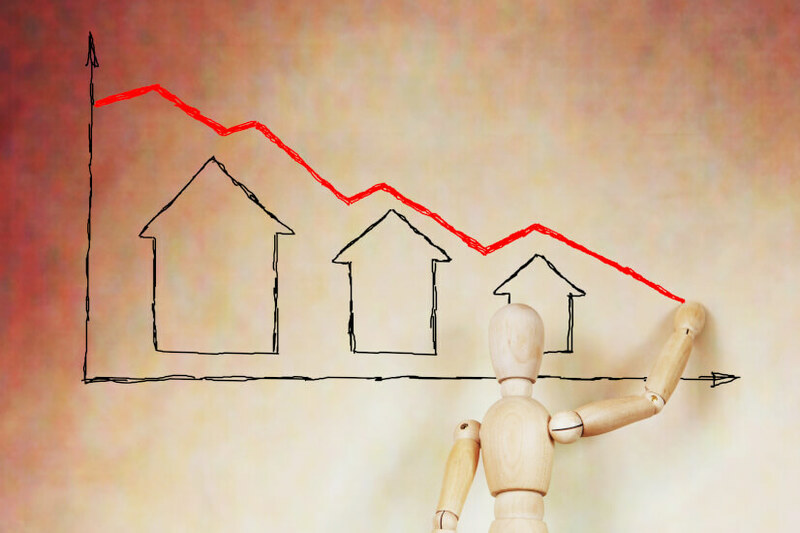 Australian capital city dwelling prices fell 0.6 per cent in September, according to data from AMP Capital. This marks a full year of consecutive price declines since prices peaked in September last year. Across the board, prices are down 3.7 per cent from 12 months ago, which is their lowest since 2012. There are a range of factors contributing to the downturn – tighter lending standards and out-of-cycle interest rate rises from the banks on mortgages are particularly significant. In markets like Sydney and Melbourne, which carried the lion’s share of price hikes since 2012, there is likely still further to fall. “We continue to expect these cities to see a top to bottom fall in prices of around 15 per cent spread out to 2020,” said AMP Capital’s chief economist, Dr Shane Oliver. Price drops could be exacerbated by policy changes at the federal level, such as restrictions on negative gearing, Dr Oliver said. All things considered, a major crash remains unlikely, he said, unless there are other significant economic triggers. “A crash landing, say with 20 per cent plus average price falls, remains unlikely in the absence of much higher interest rates or unemployment, but it’s a significant risk given the difficulty in gauging how severe the tightening in bank lending standards in the face of the royal commission will get and how investors will respond as their capital growth expectations collapse at a time when net rental yields are around 1-2 per cent,” Dr Oliver said.